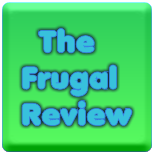 FRUGAL REVIEW: Free Samples And Coupons! Free Sample of Beneful IncrediBites! Free Sample of Nature Made Kids First Gummies! Win a $10,000 Target gift card! Win $30,000 from Panera Bread! Yankee Candle - Coupon for Buy 2 Get 2 Free! Ivory - 3 Pack Bar Soap Only $0.74 at Walmart with Coupon! Star Ranch Angus Beef - NEW $2 Off Coupon! Save 45¢ OFF any ONE (1) package of Angel Soft® bathroom tissue.Expires 12/1/2015.Save $0.45. Save 50¢ on any TWO (2) Heinz® HomeStyle Gravy (12oz) and any TWO (2) Heinz® Stove Top® Stuffing Mix (6oz).Expires 11/9/2015.Save $0.50. Save 20% on any single purchase of loose Pumpkins at participating retailers. See offer info for complete details. Check back every Tuesday for a new Healthy Offer..Expires 11/2/2015.Save 20%. Save 75¢ off any 6pk (6x158g) of NEW Super Snack Pack® pudding!